The moon was 2 days full. I had been sitting behind the house watching it for an hour from the time it peaked over the horizon. Here along the Magdalena River the only lights to be seen were the moon, the stars, and the faint glow of the kerosene candle from the open door. Part of my excuse for focusing on the moon was that it is hard for me to follow Spanish conversation in the dark, especially with the full chorus background noise of frogs, insects, and night birds. Estéban and Candelaria, my hosts, were chatting with Caña, the president of the community junta, and Gladys, my CPT partner. There was a pause, and I was aware they were waiting for my opinion. 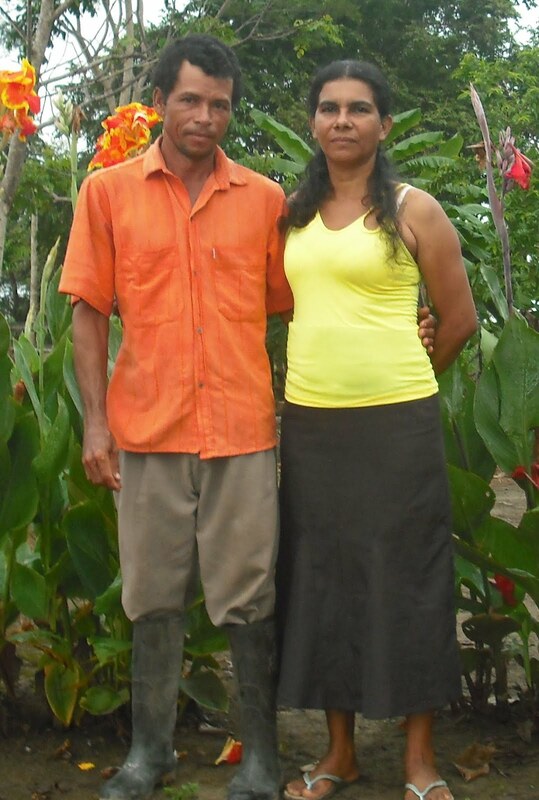 It was a question I had been asked last year by another campesino family. This time it came from Caña. 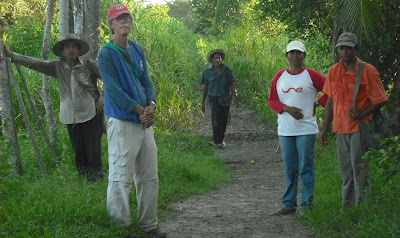 Could I briefly describe the differences between the lives of campesinos in Colombia and campesinos living in the US? Understand that earlier that day I had offered to help Estéban with his corn harvest and had managed two hours of hand picking field corn in 100 degree heat before I surrendered. Estéban continued another three hours before switching to lighter chores. 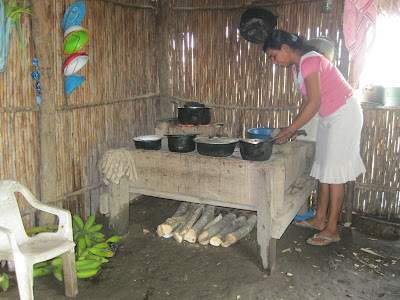 Candelaria had prepared a wonderful fish supper on the wood fire in the kitchen. The fish was accompanied by rice, fried sweet plantain, and a salad of chopped cabbage, onion, and tomato. Last year I had a hard time making the comparison. One difficulty is that it is easy to want to insert the word “poor” into the conversation. That is usually not helpful as these people would not generally describe themselves as poor, but rather frustrated by a system that seems to be weighted against them. So this is what I told Caña about US campesinos. I told him that in the extreme southern part of the US there were probably some farmers who worked forty to eighty acres raising fruit, vegetables and livestock living in simple houses with families much like their own. The biggest difference would be that alongside virtually every one of those US farms there would be a gravel road, and alongside that road there would be an electric line. This infrastructure is a basic service that many, many rural Colombian families can only dream of, and it has nothing to do with how hard they work or how much education they have. 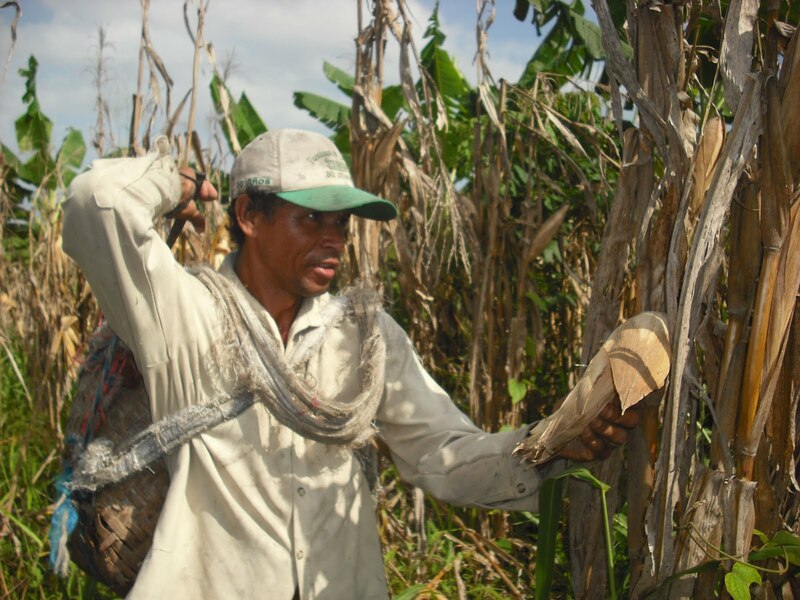 It keeps them from being able to effectively market their produce and earn a wage that allows them to move forward as a community. Caña, Estéban, and Candelaria agreed. This lack of basic services appears to me to be a product of a dysfunctional government which can sign trade agreements with the US, Canada, and Europe that are irrelevant, if not oppressive, to the majority of their citizens. Using broad economic averages like Gross Domestic Product, the Colombian government and their global partners pat themselves on the back for progress that cannot be seen, felt, or tasted by rural residents of the Garzal community of the Magdalena Media. Members of that community continue to work to make their voices heard, despite threats from paramilitary groups and the persons who sponsor them in order to force them off their land for oil palm, coal, oil or gold exploitation. CPT continues to stand with them and the many other national and international groups working on their behalf.